A short par 4 to finish with the potential to ruin a card or two. Although drivable for the longer hitters, no end of trouble awaits anything hit off line. There are trees waiting left and right and a fairway bunker waiting for the tee shot. The approach must fly the bunkers that guard the front of the green. Hit slightly wide, and there's more bunkers left and right and hedges through the back not to mention out of bounds by the clubhouse for those too eager to get to the 19th hole! 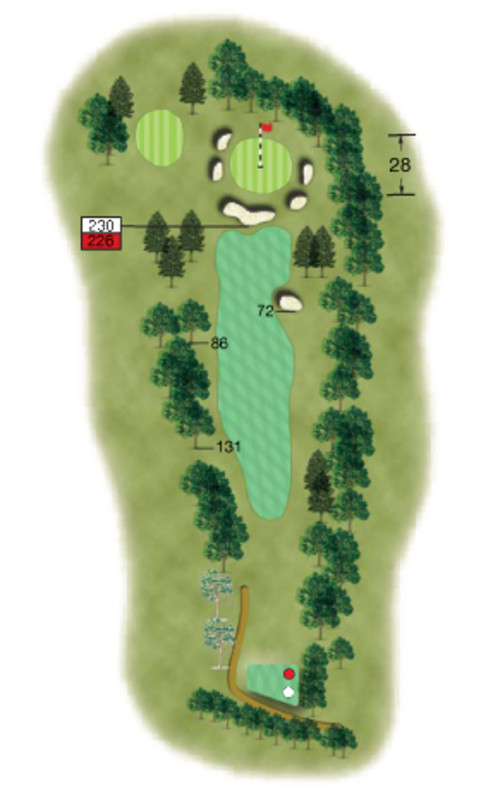 Conservative club selection from the tee will leave a straight forward approach and avoid final hole disasters.